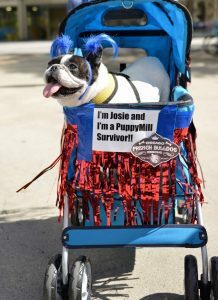 Our beloved Amish puppy mill rescue Josie came to us in horrific shape. She was almost bald with open sores from allergies that were left untreated. 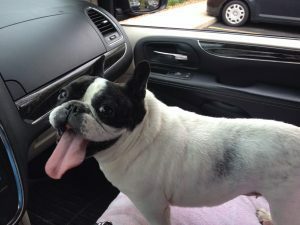 Upon examination from our vet we found out she had been kicked extremely hard. 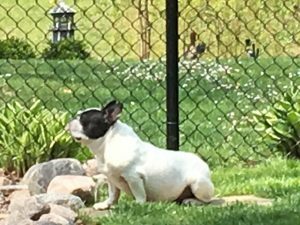 We rushed her to Purdue University where her ultra sound showed her diaphragm had been split open and her uterus, pancreas, and spleen were up around her heart from the injury. After a harrowing surgery (with me bawling and praying the whole time) she came through with flying colors! They removed her uterus and spleen and put her pancreas back where it belonged and repaired her diaphragm. We also consulted with an allergist and her road to recovery was on! This was 8 years ago and no dog has been loved more! Praying for the dogs who are still in hell at the hands of the Amish!